Shabbat Services: Friday evenings - 7:30 pm Led by Rabbi Alicia Magal. Everyone is welcome! Torah Study: Saturday mornings - 11 am Led by Rabbi Alicia Magal. PLEASE NOTE: THERE WILL BE NO SHABBAT SERVICES ON FRIDAY, APRIL 19, DUE TO PASSOVER. SERVICES WILL RESUME NEXT FRIDAY NIGHT, APRIL 26, 2019 AT 7:30 PM. THANK YOU! WE WISH YOU ALL A HAPPY AND JOYOUS PASSOVER! Our Passover First Night Seder is now full. Thank you for your responseS! We wish you a Happy and Joyous Passover! Celebrate Shabbat, holidays, and life cycle milestones. Explore the teachings and relevance of the Torah. Embrace Jewish culture and the arts. Offer assistance in time of need. Create social gatherings for members. Interact with the wider local community. Provide continuity for future generations of the Jewish people. Rabbi Alicia Magal has served as the spiritual leader of the Jewish Community of Sedona and the Verde Valley since 2006. Rabbi Magal brings a depth of experience in Judaic studies, the arts, and education to her position. (See complete Curriculum Vitae.) Rabbi Magal received rabbinical ordination in 2003 from the Aleph Jewish Renewal Rabbinical Program, as well as from the Academy for Jewish Religion in Los Angeles, CA. Shalom to all from the Jewish Community of Sedona and the Verde Valley. The First Seder of Passover will be held at the JCSVV beginning at 5:30 pm for all those with prior reservations. There will not be a separate Friday evening service that evening. The Seder, meaning "order," retells the story of the Exodus, the Israelites' departure from Egypt, a journey from slavery to freedom. Symbolic foods on the Seder Plate serve as reminders of the bitterness of slavery (bitter herbs), mortar and bricks the slaves used to build (charoset - apple or date and nut mixture), the new growth of renewed life in springtime (parsley), sadness of tears (salt water), the blood placed on the doorposts so the Angel of Death would pass over the homes of the Israelites (lamb bone), the extra festival sacrifice (egg), unleavened dough carried in haste (matza), and other references to the Exodus story through story and song. Some contemporary symbols and stories can be added to personalize and make more relevant the ancient Passover story. We all go through cycles of shedding the oppression of old patterns for new freedoms. The Seder is a multi-generational opportunity to share both the ancient liberation story of our people as well as to share the personal journeys experienced in our circle of family and friends. Torah study on the first day of Passover, Saturday, April 20, is canceled. 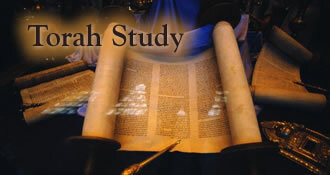 TORAH STUDY WILL RESUME ON SATURDAY, APRIL 27. In the evening, the Counting of the Omer begins. This will be a seven week mystical time of spiritual growth and deepening until the next festival of Shavuot on the fiftieth day. More on this in the coming weeks. Wednesday mornings at 8:30 a.m. all are invited to the morning minyan with a beautiful view of the red rocks from the sanctuary. This interactive morning service includes time for questions and comments on the prayers and on the Torah portion of the current week. Visitors are most welcome, and actually needed to enable us to have a full minyan (prayer quorum of 10) for mourners to say Kaddish. This is an opportunity to begin the day with prayer in a supportive community. Reservations for the Passover First Night Seder at the synagogue are now closed. Thank you for all of your responses! The Jewish Community of Sedona and the Verde Valley, located at 100 Meadow Lark Drive off Route 179 in Sedona, is a welcoming, egalitarian, inclusive congregation dedicated to building a link from the past to the future by providing religious, educational, social and cultural experiences. The congregation is unaffiliated with any particular stream of Judaism in order to respect and serve the wide diversity of its members and visitors. Rabbi Magal is available to speak with anyone on spiritual matters. For more information call the office at 928 204-1286 or check the website: www.jcsvv.org.